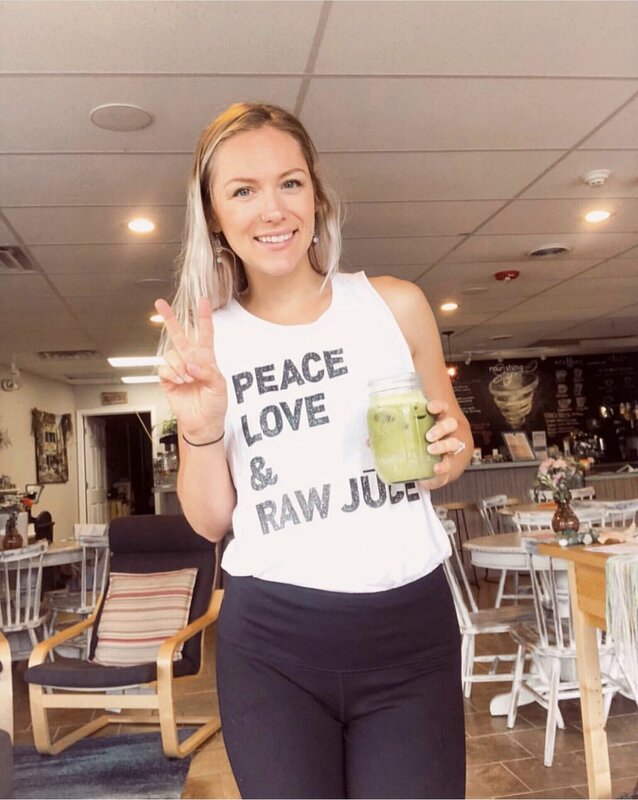 I like to think I go out of my way as often as possible to make more sustainable choices, but there are a couple habits I’ve established over the last couple years that have become second nature and are super easy to maintain! I recently completed my very first juice cleanse! Here are all the details, some tips and your questions answered! Currently faced with a hard or life changing decision? Here’s why you need to trust your gut! We all love avocado toast. Most of us would probably be cool just smearing avocados on bread and calling it a day. But recently, I’ve been paying more attention to the nutrients I get through my food each day.. and when I realized there were ways to jazz up this simple fave and make it even better for me, it was a game. changer. I’ve been enjoying the benefits of these products for stress and anxiety relief, tummy aches, dry skin & more. If you’re curious, read on! These products have been put to the ultimate, winter-weather test and some have now become a part of my daily routine, helping to keep my face smooth, soothed & soft— so I’m MORE than happy to share them with you guys!!! Is it just me, or is there a strange, dual energy that sweeps into our lives as the holidays approach? Along with the overwhelming rush of Christmas shopping madness, there’s still the incredible joy and warmth of spending time with friends, family and…FOOD! Let this post serve as a reminder that throughout all the excitement, it’s still important to slow down, recharge and keep ourselves feeling healthy! How can we do that exactly? 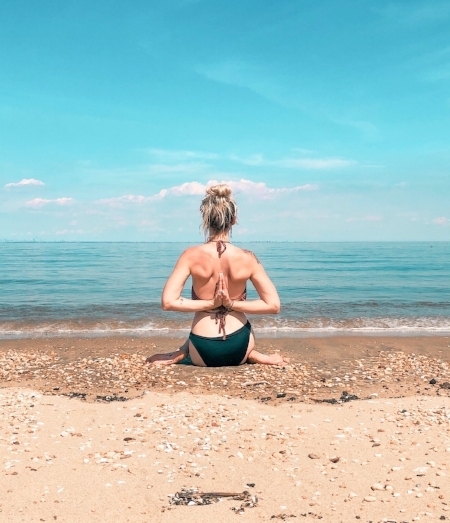 One question I've received countless times since I started teaching yoga- What poses can we do to relieve lower back pain? 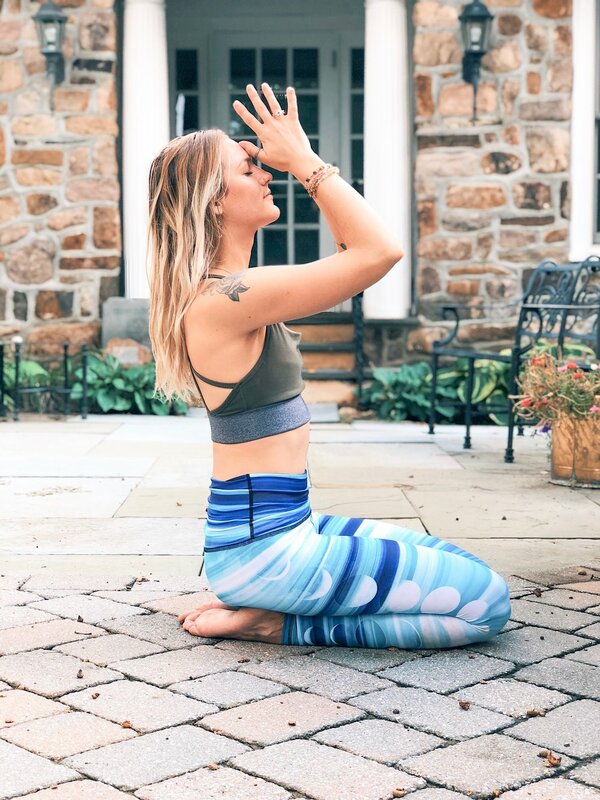 I've spent loooots time on my mat exploring postures and flows to release tension in my own lower back and the results have made me excited to share these simple poses with you guys! These are my go-to's for any day I wake up with a cranky back. Keep in mind that everyBODY is different.. Everyone will experience different sensations in each of these poses, so I encourage you to listen to your body, be gentle and modify up or down as needed. I love beginning my practice in child’s pose to connect to my space & breath, but this pose is always available to come back to throughout your practice, and feels sooo nice to gently stretch and release the lower back. Start in table top pose and send the sit bones back to rest on your heels. If this isn’t comfy for you quite yet, place a blanket under the sit bones to make this pose more accessible and restorative. Keep the finger tips active to really get the most out of this stretch. The best way to wake up the spine early on in your practice. Start in table top. On an inhale, drop your belly and send the sit bones up for cow pose. On an exhale, press the earth away, rounding through the spine and gaze between your knees for cat pose. Repeat as many times as you wish, and find some yummy organic movement here; maybe adding a side stretch, or moving into some slooow hip circles, bringing the sit bones back towards the heels, to the right, up towards the wrists and back again. Finding some gentle movement in baby cobra is another good way to wake up the spine while simultaneously working to build some back muscle. Laying on your belly, plant your palms next to your shoulders, big toes to touch. On an inhale, press the earth away and gently rise (with the gaze forward) for baby cobra, and exhale gently back down to the earth. Move through this flow a couple times, maybe coming up higher on each inhale until you eventually make your way into upward facing dog. Find a place that requires some core effort, but don't over do it! Sphinx pose is a good way to tone your spine and promotes the natural curvature of our lower backs. When we sit down a lot (like at an office job during the day), the lower back tends to flatten, which causes pain. So after some gentle cobra flowing, align your elbows under your shoulders and send your gaze forward. Imagine pulling your elbows back towards your hips to deepen the stretch. This little flow feels sooo good. Stand hips distance apart and gently hinge at the hips to fold. Keep a generous bend in your knees, grab alternate elbows and allow yourself to just hang. Don't force yourself into a deeper fold, rather relax the weight of the head and let gravity take over to release your lower back and release tension in the neck/shoulders. Use your exhale to let go into your fold and then inhale to lift half way into a flat back. Find length through the crown of the head here and create space through the vertebrae. Repeat as many times as needed! I love a good supine twist towards the end of my practice. There are different levels to this, but the simplest form is just laying on your back, planting your feet on the ground (bent knees) and letting the knees drape over to one side. You can have your arms out in a “T” and gaze towards the opposite direction of your knees to ensure a full rotation in the spine. If you're used to this posture, get creative here and find an arm variation that feels good, or modify up to take the twist a little deeper! Yogi tip- Move through center and allow your spine a second to re-adjust before taking it to the other side. I love poses on the back, they always serve as little reminders that we are supported by our mats and by the Earth. This one in particular is the easiest way to relieve pressure or pain in the lower back, and is my personal favorite thing to do right before sivasana. Lying back, simply pull the knees into the chest and begin to roll around. Draw some circles with the knees- you'll feel a yummy massage from the floor on your lower back and sacrum area. Spend as much time as you'd like here and enjoy! Yogi tip- Investing in a good mat has done wonders for my lower back pain. 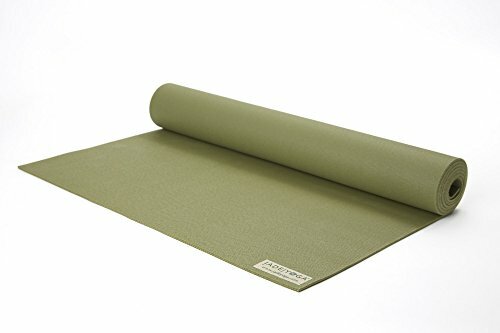 My Jade Yoga Harmony mat is my FAVORITE. Locally made from sustainable material, complete no slip grip, super comfy, and so many colors to choose from! Check it out below. I am Sending you all positive and healing energy, and i hope you find this guide helpful to relieve that grumpy back ache. Have questions or comments? Leave them below or reach out through email! These pumpkin pancakes are fluffy and packed with that pumpkin Fall flavor we all crave this time of year! Dairy-free, egg-free, fully delicious! I believe that the moon affects us day in and day out, whether we realize it or not. But believer or non-believer, the New Moon is a time of heightened energetic activity. It’s the perfect time to get crystal clear on what we want in life and how we want to feel. Enjoy this recipe for the simplest, most deliciously vegan and gluten-free granola! Toss it in your smoothies, create your own homemade granola bars or mix it into a big, comfy mug of warm oats! Forgiving & letting go. Easier said than done? I’m sure we’ve all been there enough times to know that that’s a solid “yes.” But the act of forgiving has been proven to enhance our physical health, happiness and overall well-being. We don’t forgive for the sake of the other person, we do it for ourselves. Something to think about….